On Monday, we discussed solutions for gas, bloating and loose stools using the Healthy Gut, Healthy You protocol. On Wednesday, we spoke with Dr. Rangan Chatterjee and discussed how to make disease disappear. In people with type 2 diabetes or prediabetes, sprint intervals and moderative-intensity exercise are shown to rapidly improve the skeletal muscle metabolism. Both forms of exercise had marked improvements in insulin sensitivity highlighting that exercise could be a useful tool in rapidly restoring impaired skeletal muscle metabolism in those with impaired glucose metabolism. A novel study exploring the impact of diet on the microbiota diversity and gut inflammation in Crohn’s-like mice, demonstrated that the incorporation of plant-derived “good” fats, such as coconut oil or cocoa butter, resulted in a marked reduction of bacterial diversity and small intestinal inflammation. Altering or adding sources of dietary fat, in humans, could help quell Crohn’s symptoms. “Exercise-induced gastrointestinal syndrome” is defined by disturbances of gastrointestinal integrity and function in response to exercise. A systematic review establishes that exercise stress of 2 hours at 60% VO2max appears to be the threshold whereby significant gastrointestinal perturbations are expressed, regardless of fitness status. 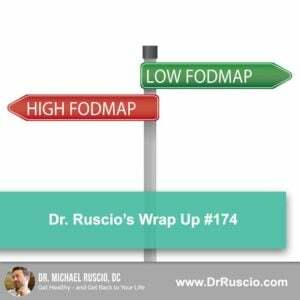 This meta-analysis shows that the low FODMAP diet is beneficial for reducing gastrointestinal symptoms in patients with quiescent IBD. What can be done for H. Pylori ?